Show Us Your Sensors: Snow Day! 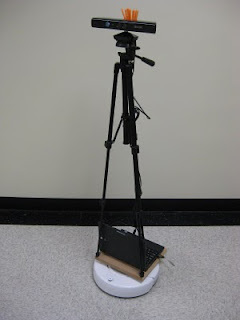 This tripod worked surprisingly well -- far better than anything I've previously built out of conduit. Finally, I'm working on putting together a new robot based on an EX-106/RX-64 based arm, Kinect, and a bit larger mobile base..... pictures and video shortly. (his parts are stuck on UPS trucks somewhere in a snow storm).